Divorce is often a challenging time in the lives of those who are separating, and some degree of tension between divorcing partners is inevitable. However, there are some situations when the divisiveness escalates. When your spouse is being difficult and uncooperative throughout the process, you may find yourself in a high-conflict divorce situation. Here are some of the most common issues in a high-conflict divorce, what you can do when things get tough, and how you can get legal help. Asset division. This can be a big hurdle in a high-conflict divorce. 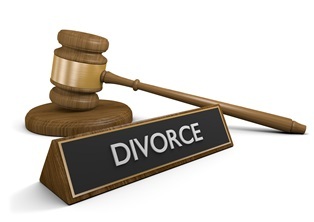 If your divorce also qualifies as a high-asset divorce, it can create an even bigger problem, as there may be significant assets at risk, including money, real estate, investments, and business interests. You may find that your partner is unwilling to bargain or negotiate for your fair share of the marital property. Since Washington is a community property state, you are typically entitled to a half interest of most assets that either partner has gained since the marriage, unless there is a prenuptial or other legal agreement that says otherwise. Even then, there may be grounds to invalidate a prenuptial under certain circumstances. Child custody. Child custody can be fairly problematic in many divorces. Dealing with a partner who’s unwilling to negotiate a mutually-agreeable parenting plan can create a difficult situation, and it can be hard on the kids, too. If your partner is unwilling to work out a deal that you can both live with, the court will design a parenting plan based solely on the best interests of your children and often leans towards a 50/50 custodial split, unless circumstances warrant otherwise. Spousal support. Also known as alimony or spousal maintenance, spousal support is designed to help the partner who is economically disadvantaged in relation to the other. The amount of support can depend on your needs, assets, and earning ability, the income difference between the two of you, the ability of your spouse to pay, and how long you’ve been married. Much like spousal support, child support can also be an issue. The court will look at multiple factors to determine child support such as relative income levels, the parenting plan’s custody arrangements, and the needs of the child. In many divorces, especially those that are fairly amicable, mediation is often a good solution. However, in a high-conflict situation, sitting at a negotiating table can be difficult and may not be productive. Although you and your attorney can work hard to do your part to keep calm and negotiate fairly, if your partner isn’t willing to compromise, you’ve done all that you can. You should be prepared for the case to go to trial at that point. High-conflict divorce is difficult and exhausting, but you don’t have to face it alone. The Law Offices of Molly B. Kenny has been helping families through divorces for decades, and we’re here to be by your side when you need a hand during your own divorce. To arrange a private consultation in our Bellevue office, call us, or use our contact form to send us an email today.